Bryce Dallas Howard starred in Jurassic World and its sequel, Fallen Kingdom, along with Chris Pratt. The two play the park’s operations manager and a Velociraptor expert who works at the park, who strike up a romance. And apparently, Bryce was quite impressed with her co-star’s kissing – or more specifically his breath, which according to her was like “starburst.” When asked about it, she said, “He’s perfect in every way.” And we tend to agree. Ryan Reynolds, star of movies like Deadpool and The Proposal, actually met his current wife Blake Lively on the set of Green Lantern, in which they co-starred. But she wasn’t the only actress who dazzled him with her kisses. When a Twitter follower asked him what it was like to kiss Anna Kendrick in the horror flick The Voices, he replied “like taking your face to Awesometown.” Anna then hilariously replied that the “Kendrick-train” also had “local stops in Awkwardville and Tolerableshire.” We just love her self-deprecating style! When asked about his best and worst on-screen kisses, Penn Badgley knew exactly what his answer would be. Blake Lively, his Gossip Girl co-star, was both. The two became a couple while filming the series, so kissing her on-screen was pretty enjoyable for the actor. But, after they had broken up, their characters still had to kiss and pretend to be in love with each other – which made for a pretty miserable time. But we’ve got to hand it to them – they still kept it profesh! Ethan Hawke is definitely a good looking actor, and no doubt he has kissed many attractive Hollywood women while working on films. But in 2004, when he had a romantic scene with no other than Angeline Jolie for the thriller Taking Lives, he literally forgot his own name. “Angelina Jolie was born to whittle men and to make them weak,” the actor admitted. “When she kisses you, you don’t know your name.” He called her his best movie kiss, and we can certainly understand why. The Academy Award nominated drama Atonement, based a novel of the same name by Ian McEwan, is pretty bleak. But one thing that definitely stands out is the incredible chemistry between two of its stars, Keira Knightley and James McAvoy. The romantic scenes between the two gave us all the feels, and apparently Keira felt the same. She not only called him “the best kisser ever,” but also giggled plenty while she said it. No doubt their chemistry shows through the cameras, even if the ending is tragic. 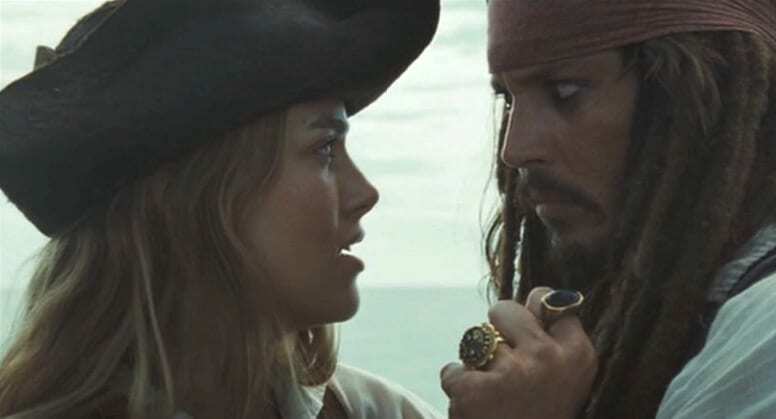 Keira Knightley also spilled the beans on another great kisser, and this time it was her Pirates of the Caribbean co-star. And no, surprisingly we’re not talking about hunky Orlando Bloom, who plays her beau in the movie series, but we’re talking about Captain Jack Sparrow himself – Johnny Depp. “I couldn’t ask for a better kissing scene with Johnny Depp actually,” she admitted. “I think my 14-year-old self was yelping with pleasure. It was fantastic!” And really, what girl wouldn’t want to lock lips with Johnny Depp? Zac Efron has certainly locked lips with many leading ladies over the years. But his favorite kiss came long after Gabriella Montez (played by his High School Musical co-star Vanessa Hudgens). Zac said his greatest on-screen kiss was the one he had in The Greatest Showman, the 2017 movie musical, with singer and actress Zendaya. The actor actually said that kiss “might be my favorite kiss, I think ever.” That’s a grand statement for a Hollywood heartthrob like Zac! Megan Fox had her fair share of on-screen kisses as well, which included actors like Josh Duhamel, New Girl’s Jake Johnson, and even Amanda Seyfried. But actress admitted to E! News that her favorite kiss of all was the one she shared with her Transformers co-star, Shia LaBeouf. It’s hardly surprising, since the two reportedly took their romance off-screen for a while. Although Fox was dating her now-husband Brian Austin Green, it’s reported that they were taking a break at the time, and Megan was cozying up to Shia. Nina Dobrev and Ian Somerhalder liked kissing each other so much, they kept smooching after working hours as well. The two started dating while working together on The Vampire Diaries, and became one of the industry’s cutest couples. Unfortunately, it didn’t really work out and they ended things – but their on-screen characters didn’t. Damon and Elena went on with their epic love story, and the former couple had to keep doing romantic scenes together until Nina eventually left the show. 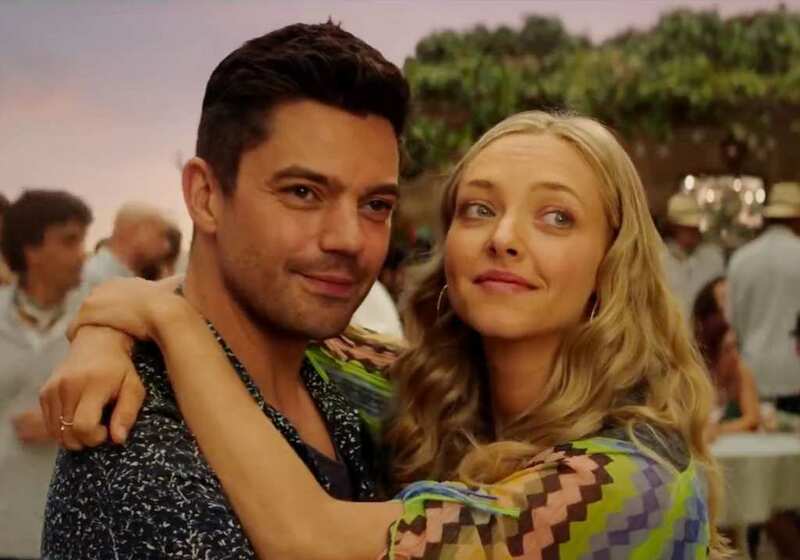 Amanda Seyfried and Dominic Cooper were also co-stars who became a real-life couple. They had great chemistry while working on the movie musical Mamma Mia!, so they took to kissing each other off-screen. However, their relationship didn’t last very long, and when it came time to work on the sequel together, things got pretty awkward for the two. Especially since Seyfried’s current husband, actor Thomas Sadoski, didn’t like his wife performing romantic scenes with her ex-boyfriend. Bridget Jones’s Diary is one of the most hilarious and endearing romantic comedies ever made. The cult movie had viewers fall in love with Bridget, played by the talented Renée Zellweger, who got to “snog” both of her dreamboat co-stars, Hugh Grant and Colin Firth. So who’s the better kisser? She replied to that only with, “I will say that with either one, it’s not a bad day at work, is it?” However, when asked about her, Grant said Renée was a “top snogger.” That’s quite a title! Jennifer Lawrence and Nicholas Hoult met during a screen test for the superhero movie X-Men: First Class in 2011, and were quite smitten with each other. So while their characters, Mystique and Beast, had quite the on-screen chemistry – particularly in one deleted love scene – the actors were romancing each other off-screen too. Unfortunately, being an adorable couple wasn’t enough. Their relationship didn’t last, and after being on-and-off for a few years, they finally decided to call it quits. Couples like Eva Mendes and Ryan Gosling don’t just come around all the time. That’s why, when they do, they should be appreciated and admired. They met while filming The Place Beyond the Pines, the two – who played love interests in the film – started a romance that hasn’t ended since. Their relationship has been going on since September 2011, and they now have two children together – one born in 2014, and one born in 2016. Though the never got married, they are definitely still #couplegoals. Ryan Guzman was Jennifer Lopez’s co-star in the 2015 horror thriller film, The Boy Next Door. And while Jennifer said he was the second best kisser she had on-screen (after Josh Lucas), Guzman had said Lopez was his very best. When asked how he would rank her kissing skills, he replied, “I gotta say number one! Even though she gave me number two!” We’re not exactly surprised though, because who wouldn’t like kissing Jennifer Lopez? When Kristen Stewart and Robert Pattinson met at Robert’s audition for Twilight, they had to perform a scene on director Catherine Hardwicke’s bed. And while Kristen was dating actor Michael Angarano at the time, her chemistry with Rob was too undeniable. They even won Best Kiss at the MTV Movie Awards! But Twilight fans weren’t the only ones swept away by Bella and Edward’s kisses. Kristen ended up breaking things off with Angarano and dating Robert for a few years, until they ended it following an indiscretion on her side. Christina Ricci starred alongside Robert Pattinson in the drama film Bel Ami, which is based on the novel of the same name. In the movie, Robert shares steamy scenes not only with Ricci, but also with Uma Thurman and Kristin Scott Thomas (his character certainly got around). And just like his Twilight leading lady Kristen Stewart, Christina Ricci also thought Rob was a top-notch kisser. 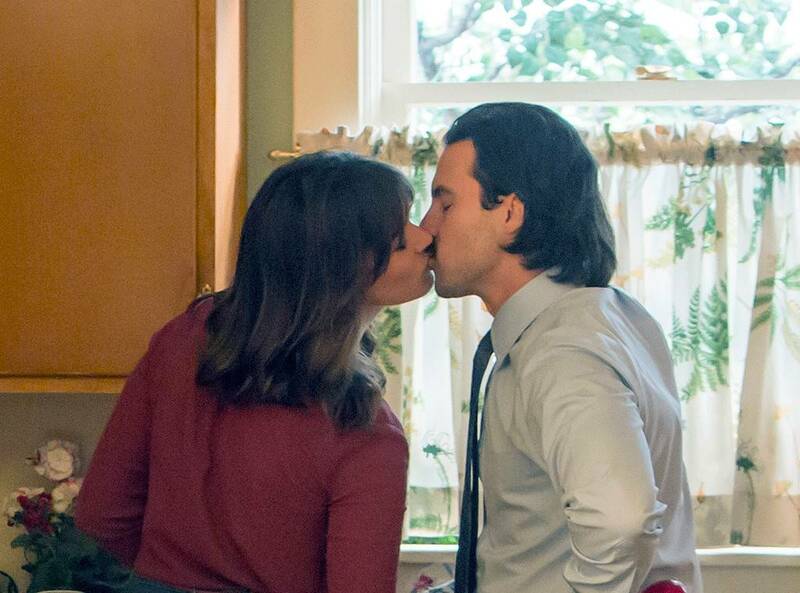 “He’s a sweet guy and super funny… and a really good kisser,” she said. When it comes to Angelina Jolie, many people are aware of her more high-profile relationships, like her marriage to Brad Pitt or to Billy Bob Thornton. But did you know her first husband was actually Elementary star Jonny Lee Miller? Back in his Trainspotting days, Jonny and Angelina were working on the movie Hackers together, playing two hackers falling in love. Besides some pretty heated love scenes in the film, the two also brought their romance off-screen – and ended up marrying each other in 1996. Uma Thurman and Ethan Hawke filmed the sci-fi drama Gattaca together, back in 1997 – before they got together in real life as well. Uma admitted those on-screen kisses were the best she’s had, mainly because she already had feelings for her leading man. “The best kiss I ever had for a movie was with the guy I married, because I was really hot for him back then,” she said. The two went on to marry each other and have two kids, before calling it quits in 2005. Kristen Stewart and Robert Pattinson may have become a real-life romance, but he wasn’t the only one who was impressed with her kissing skills. Taylor Lautner, who played Bella’s werewolf best friend Jacob in Twilight, also had a chance to smooch the actress and see what all the fuss was about. And he was ready to dish about that kiss too, when he was interviewed about it. “That was the best. She’s a great kisser,” the star said. Sarah Gadon knew it was going to be fun kissing Luke Evans when she signed onto Dracula: Untold. She even joked that it was the reason she joined the cast in the first place. “When I screen tested with Luke, there was a natural chemistry between us,” the star said. “I knew it would be something really special.” She also said they were lucky to have such good chemistry, because one of their days on set was just ten hours of kissing each other. Sometimes, one side just isn’t enough to call a good kiss. After locking lips with his Fast & Furious 8 co-star, blonde bombshell Charlize Theron, Vin Diesel was asked about their kiss. And although he said it was the “best kiss ever,” she had other things to say. She said his character just stood there with his lips “frozen like a dead fish.” She also said, “I like a little bit more movement in my men”. Ouch! When Vin was recited the interview on Ellen, he was visibly outraged – and with good reason. Zac Efron became highly famed thanks to his role in the High School Musical film franchise, where he starred alongside actress and singer Vanessa Hudgens. The two dated for a while in real life as well, and eventually went their separate ways. But that didn’t stop Hudgens from commenting on her ex’s kissing skills on Ellen, as she stated he was a really good kisser. And apparently, their co-star Ashley Tisdale also thought the same. Rachel McAdams and Ryan Gosling’s kiss in The Notebook, the movie based on the Nicholas Sparks novel, was so iconic it spurred endless parodies. 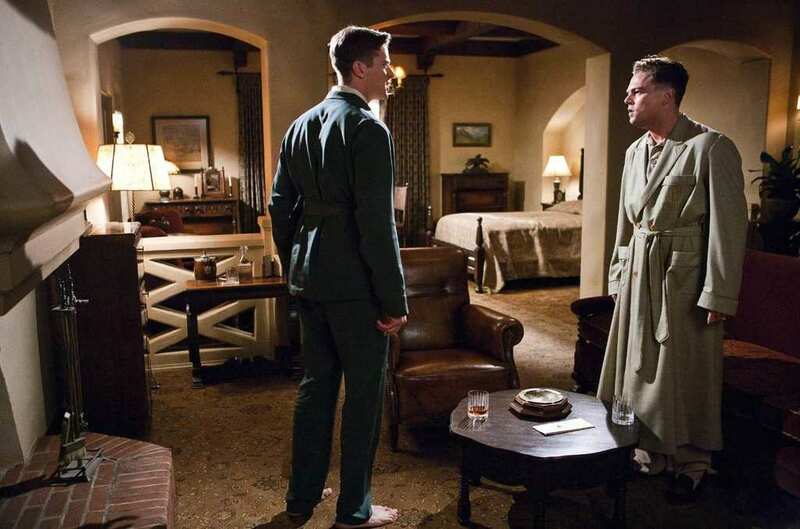 In reality, these co-stars apparently hated each other! Reportedly, the two couldn’t stop butting heads on set. 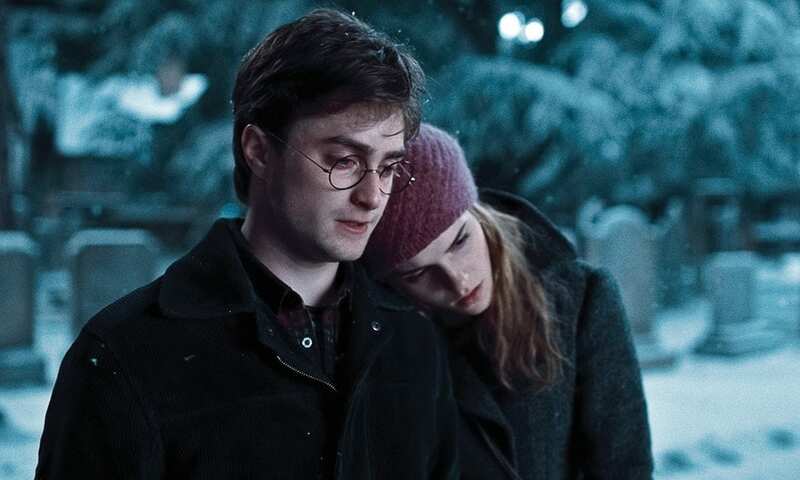 But it seems that their attraction was stronger than that, because they started seeing each other immediately after the film wrapped, and dated for three years. We guess the line between love and hate is pretty thin after all. It’s no secret that Angelina Jolie and Brad Pitt enjoyed kissing each other when working on the set of Mr. and Mrs. Smith. The action film featured a married couple who were both spies, unbeknownst to each other. Brad was married to Friends actress Jennifer Aniston at the time, and after they got divorced and Pitt started dating Jolie, it was pretty clear what had happened. These co-stars fell madly in love with each other, and the rest was history. One of the most talked-about kisses in film history, is the one Amanda Seyfried and Megan Fox shared in the black comedy Jennifer’s Body. While Megan had said she felt more comfortable than she did kissing her male co-stars, Amanda took it one step forward and said she thought it was great. “We kissed really well together,” she admitted. “We have similar kissing styles!” In that context, she also said that love scenes are fun. Those of us who know the popular NBC show This Is Us know it’s about as tear-jerking as it can get. Milo Ventimiglia plays the role of Jack Pearson in the family drama, working alongside Mandy Moore who plays Rebecca, Jack’s wife. Mandy didn’t shy away from talking about her kissing scenes with her co-star, saying that he’s been her best on-screen kiss, and stating how comfortable she feels with him. She also said that sometimes there’a a little tongue action involved, when the scene requires it. Ashton Kutcher has kissed many ladies on screen, and apparently he’s pretty good at it. After he starred alongside Lea Michele in the ensemble flick New Year’s Eve in 2011, she raved about his skills, saying the actor held nothing back. “He’s a great kisser and has no fear,” she said. “He just went right in and kissed me and I was like, ‘Okay Ashton, go right ahead! '” We’re sure many women would have the same sentiment about kissing Ashton Kutcher. The two Hollywood stars locked lips on the trippy Black Swan, in which they played competing ballet dancers vying for the same role – of the titular Black Swan. Kunis wasn’t shy about letting the world know about their moment, either, saying Portman was a “lovely kisser, very polite.” She added that she was also the only person in the world to have kissed both her and her husband Ashton Kutcher, which she did in the romantic comedy No Strings Attached. Portman, for her part, refused to kiss and tell.